“Delta Diver” is a vigorous dwarf variety with impressive rugose potato leaves. 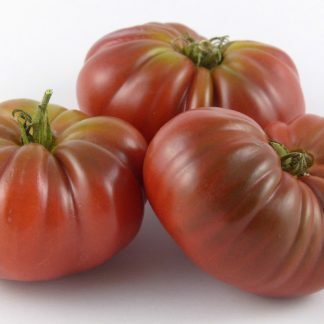 This is Blane Horton’s (https://www.mariannasheirloomseeds.com/heirloom-heroes/94-blane-horton.html) segregate from the cross Dwarf Wild Fred X H-28, which produced many fine dwarf types. Delta Diver grew vigorously to just over 3 feet in a 5 gallon pot. The plant was so bushy and leaf-filled that I couldn't see the first fruits forming deep inside. 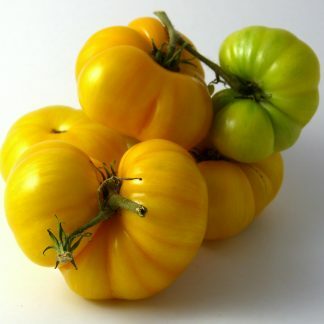 The gorgeous dwarf plant produces gleaming striped sunshine yellow fruits, very flat beefsteaks. The flavor was a bit on the tart side, but very clean. There is a red version, Delta Diver Red Striped, which has an abundance of red stripes and a deeper yellow orange color. This segregate, Delta Diver, has light striping of orange-red on bright yellow. 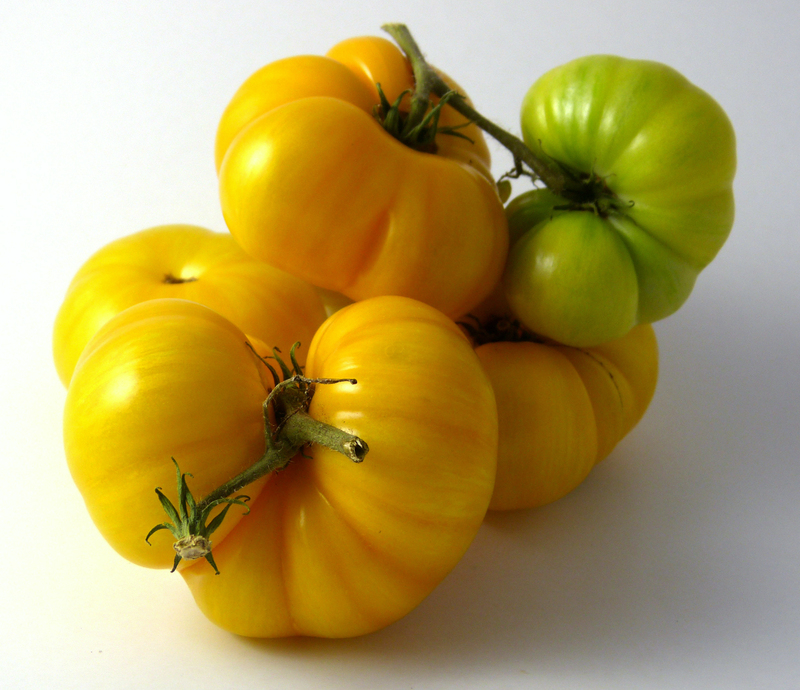 The flesh is pale yellow and may show some interior red/pink if ripened in the heat. 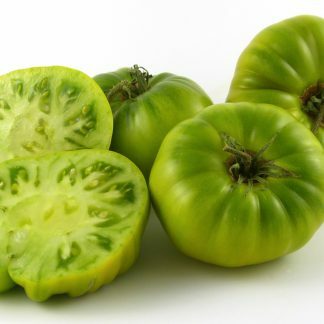 These are F7 seeds, so although my fruits have all been true to type across several plants this season, I will list this as a developing variety. This means that there is a chance that plants and fruit grown from these seeds will be different than what I have shown and described here. I believe that it is stable, but I would rather be cautious in my listings and state the possibilities.